Maria João Dodman, professor of Portuguese and Luso-Brazilian Studies in the Department of Languages, Literatures and Linguistics in the Faculty of Liberal Arts and Professional Studies, has published a creative book of short narratives that explore the notion of hybrid identity, of living between worlds and the (re) invention of a 10th Island a narrative theme commonly found in immigrant communities from the region of the Azores, Portugal. AndarIlha. Viagens de um hífen [Wanderer. Voyages of a Hyphen] is the title of this collection of 17 narratives (15 in Portuguese and two in English). The narratives highlight the voyage as a leitmotif designed to separate and join old and new worlds, of finding one’s identity and of returning to the affections, the cult of memories and the wisdom of the elders. There are approximately 250 million speakers of Portuguese in the world today, in nations and territories such as Brazil, Portugal, Angola, Mozambique, Guiné-Bissau, Cape Verde, São Tomé and Príncipe, Macau, East Timor, Goa, Daman and Diu. Immigrants from these nations are also scattered in large communities throughout the world, with major concentrations in the United States, Canada, France and other European destinations. Lusophone Studies (the study of this Portuguese-speaking world) is a broad interdisciplinary area that includes the many crossroads, perspectives, and contexts, which have contributed to this diaspora and to the Portuguese language today being the 6th most spoken in the world and the 3rd most spoken in the western hemisphere. Both in terms of historical past and contemporary settings, Lusophone lives have been molded by many factors that range from historical, social, political and economic circumstances, to established and new migration patterns between Lusophone and non-Lusophone countries. The outcome is visible in both geographical and ethnocultural development of many lusophone identities that intersect in many countries. 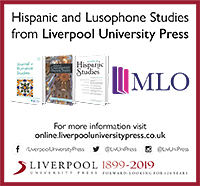 Lusophone studies focuses on these perspectives and intersections in interdisciplinary ways, in order to create an inclusive study of current issues and viewpoints which relate to this historical legacy. Until recently, this body of scholarship had been largely ignored, in Canada. In order to address this omission, the newly created Lusophone Studies Association – the first of its kind in this country – is holding its inaugural conference at York University in the fall of 2013. The conference seeks to gather all those interested in Lusophone Studies by offering a forum to encourage current and new debates in this emerging area of scholarship. 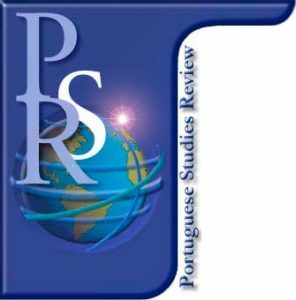 The present and future of Lusophone Studies: crossroads and perspectives. Historical evolution of the Lusophone world. Exploring Lusophone literatures, linguistics, and language. Studying the geopolitical Lusophone world. Contextualizing contemporary lusophone societies, migration, and identities. Other themes related will also be considered. Please direct your submissions to The Lusophone Studies Association at lsa@yorku.ca. We will acknowledge receipt of all proposals. If you do not receive a reply within one week, please contact Professor Kenedy (rkenedy@yorku.ca) to confirm receipt of your submission. We look forward to receiving your abstracts.